To never give up is what all martial arts teach and it is something we can take with us into life, at all times – both ups and downs. I can say with some conviction that I have been practicing Kyokushin-Karate full time for 34 years. I decided to devote myself to Kyokushin for the rest of my life when I was young Uchi-Deshi student (student intrinsic) between 1983-1988 lived in Cardiff, Wales. I remember so well how my thoughts went early one morning before the morning workout, which is 06:00 prick began each training day. How long can I keep doing this? How long should I devote my life to karate? My answer was simple and compelling: All my life. And still, 34 years later, I touch the same thought every morning and the answer is the joy of doing my routine every day. This amazing movement meditation. Not always physically, but mentally, as I have for many years been characterized by nine hip operations with constant changes of hip prostheses. I love challenges, to push myself to the limit – and then some. To see what your body is capable of, and then the wonderful feeling of satisfaction afterwards. Setting goals and then break down the milestones and work with them toward the great goal, the best I know. I have over the years set and achieved many goals. My biggest goal in my training so far was in 1984 when I was young Uchi-Deshi student could go to Japan and train at Honbu Dojo under Sosai Oyama, founder of Kyokushin karate. To take part of this master charisma. 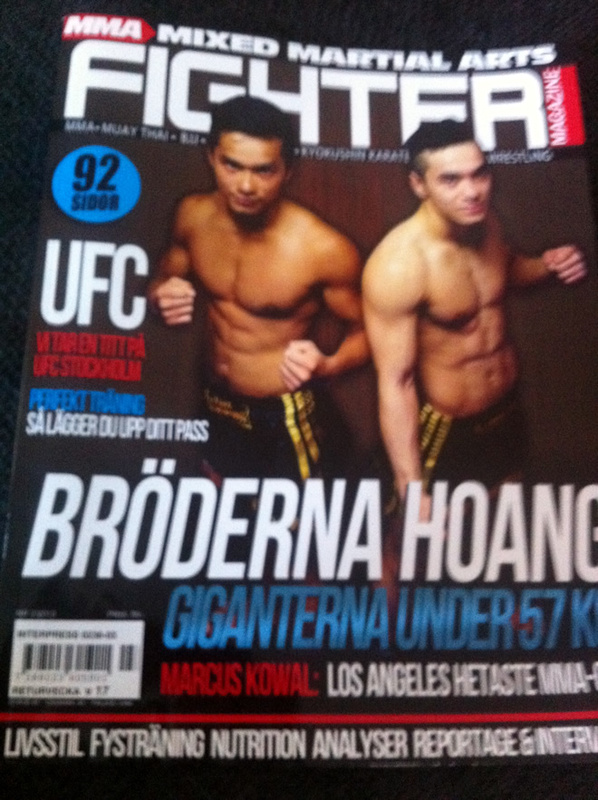 I was blue-bältare when I asked my Shihan if I could go and if he could give me a recommendation. He said: Come back when you have one kyu brown belt. I was saddened when I realized that it was several years ahead. But the moment I got the distinct feeling that this was just one milestone that I could work towards. 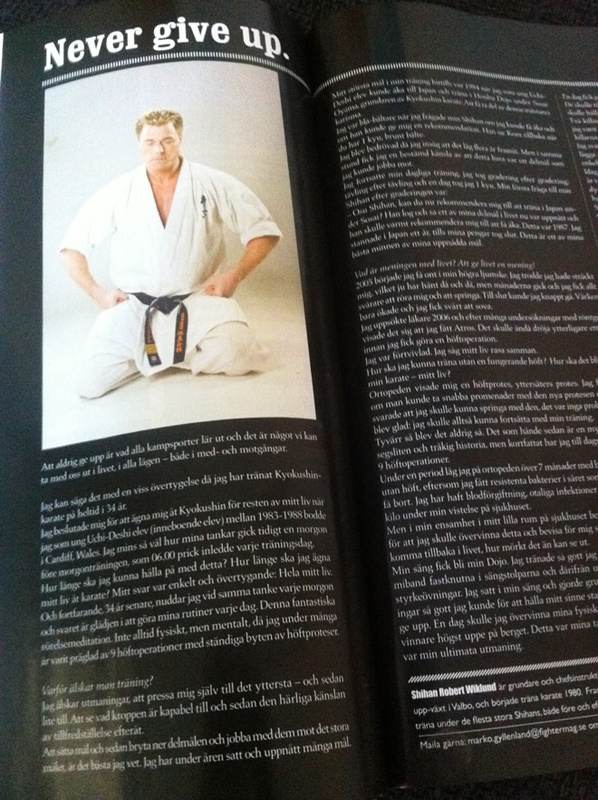 – Osu Shihan, now you can recommend me to train in Japan under Sosai? He smiled and said one of my milestones in life now was reached and he would heartily recommend me to get going. This in 1987. I stayed in Japan a year, until my money ran out. This is one of my best memories of my goals achieved. What is the meaning of life? To give life a meaning! 2005 I started to have pain in my right groin. I thought I had stretched myself, which of course has happened now and then, but months went by and I got more and more difficult to move and to run. In the end, I could barely walk. The pain just grew and I had trouble sleeping. I went to see a doctor in 2006 and after many investigations by X-ray showed that I had Atros. It would still take another year before I got to do a hip surgery. I was heartbroken. I saw my life fall apart. How should I train without a functioning hip? How will it be with my karate – my life? Orthopedics showed me a hip replacement, exterior Säters prosthesis. I asked if we could take brisk walks with the new prosthesis, and he replied that I could run with it, it was no problem. I was happy: I would then be able to continue with my training. Unfortunately, it was never so. What happened next is a very long, TOUGH and boring story, but briefly, I have to date made 9 hip surgery. For a time I was on orthopedist over 7 months with leg straight, but hip, because I had resistant bacteria in the wound that could not get away. I have had blood poisoning, countless infections and lost 16 kg during my stay in the hospital. But in my loneliness in my little room at the hospital, I decided that I would overcome that and prove to myself that you can come back to life, how dark it may look like. My bed had become my Dojo. I trained as best I could with a rubber band tied to bedposts, and from there I developed various strengthening exercises. I sat in my bed and made ground strokes and blockages as best I could to keep my mind strong and to never give up. One day, I would overcome my physical obstacles and stand as the winner at the top of the mountain. This was my thoughts every day. This was my ultimate challenge. One day I had to go down to the prosthetic department, where it manufactures prostheses. They would make a special pant, resembling hockey pants, that would hold up my hips. Two guys ran me down. They knew what happened to me and how long I had been pickled. During the trip down to the prosthetic department asked one of the guys how I could fight all the time. I said there are two choices. Either to fight, not to give up, or lie down and die. I wanted to live, so the choice was in fact quite simple. Today, every day is still a struggle. I never sleep a full night. The pain in your back, hips, and in the nerves of all operations – 24 hours a day. 3 weeks ago I was told by my doctor that I still have an allergic reaction in my hips and that one can not do more in Sweden. So now awaits a tenth surgery in London. So what motivates me to keep fighting? Firstly, there is a burning glow within me that can not be extinguished by external circumstances. It is the feeling of never giving up that gives life meaning. To be honest, so of course I have bad days and bad weeks, but within me is a feeling of winning. The motivation to keep fighting, I also get from all my students. To follow their progress, take new upgrades, win races – to find their goals and achieve them is my goal. The message in the Japanese proverb: “Seven times down and eight times up is the art of living.” One must not fall apart just because not everything goes smoothly. Budo philosophy has had a strong impact on my life. Being mentally prepared for the unprepared. That things are not always as we hope or expect, but grabbing the situation in the present. I, like many others, had tough periods in my life but I am an incurable optimist. I’ve learned to think in the big perspective, even if it is small, everyday problems. When looking at events from high altitude begin to see patterns. It is the life of the stock market. Sometimes it goes down for a while but for the most part it goes up again. Either I find a way, or so I create a.
I see my goal very clearly that way there can be unclear. Then you have to focus on the goal, which dispelled the mists. Sure, it can happen that I run into a dead end even if my goal is clear. Then I either turn around and find another way or I get to keep moving forward by creating a new path. Indeed, it may be that this is precisely what is needed. Is there no way to where I want to, I can not wait for someone else to come and build it for me. An old friend told me once: If you can not, do it anyway. The way out is the way through.